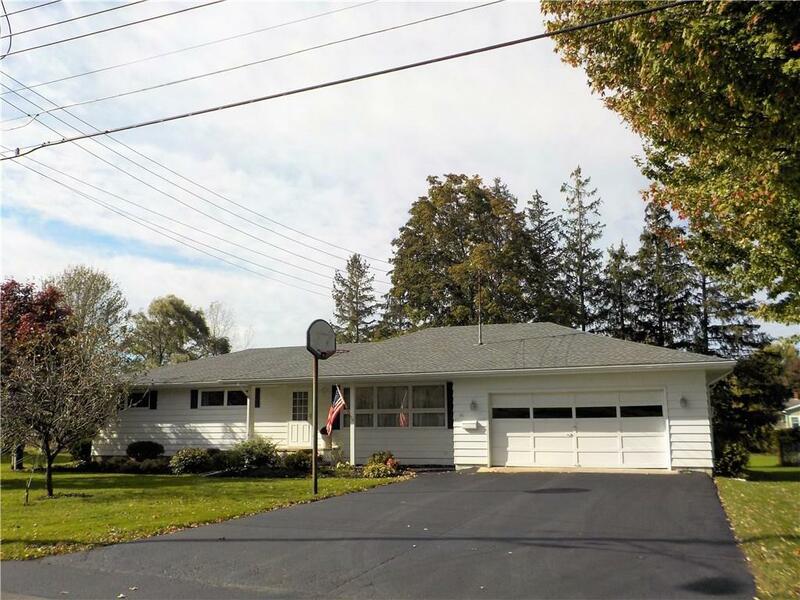 46 Sackett Street, Seneca Falls, NY.| MLS# R1156198 | Coldwell Banker Finger Lakes | 315-789-6768 | Geneva NY Homes for Sale, FINGER LAKES PROPERTIES, Seneca Lake, Cayuga Lake, All of the Finger Lakes. One owner ranch home on a quiet street. This home features 4 bedrooms and 1.5 baths plus a spacious living and additional family room. Mostly hardwood floors in good condition. The kitchen is open to the eating area and there are plenty of cabinets. The basement in the past has been used for entertaining. Some updating and this home could be perfect for almost anyone, whether just starting out or downsizing. Showings anytime on Wednesday, Saturday and Sundays. AFTER 2 on Monday, Tuesday, Thursday and Fridays. Dishwasher & wall oven sold "as is".n Roof is 4 years old. Directions To Property: From West Bayard Street Turn Onto Sackett Street. Home Is On The Right.